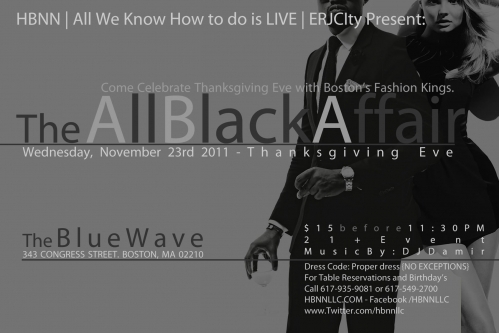 The All Black Affair is Back! while raising money for the Diabetes Walk. with appetizers and drink specials. before dancing the night away. In September we raised $650 for Jimmy Fund Walk. We are able to take credit/debit cards onsite! 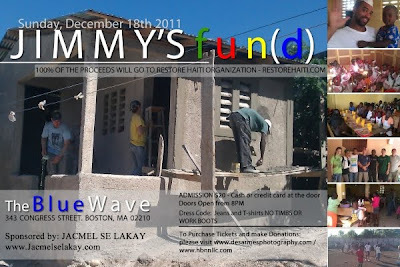 On Sunday, December 18 2011, we are bringing back Jimmy's fun(d). It is a birthday celebration that raises money. This year we will be donating all proceeds to restore Haiti. (dress code is jeans & t-shirts). Come celebrate Thanksgiving Eve @ The All Black Affair! Looking for a relaxed, laid back atmosphere to hangout before spending time with family on Thanksgiving? On Wednesday November 23rd, the Blue Wave should be your destination. 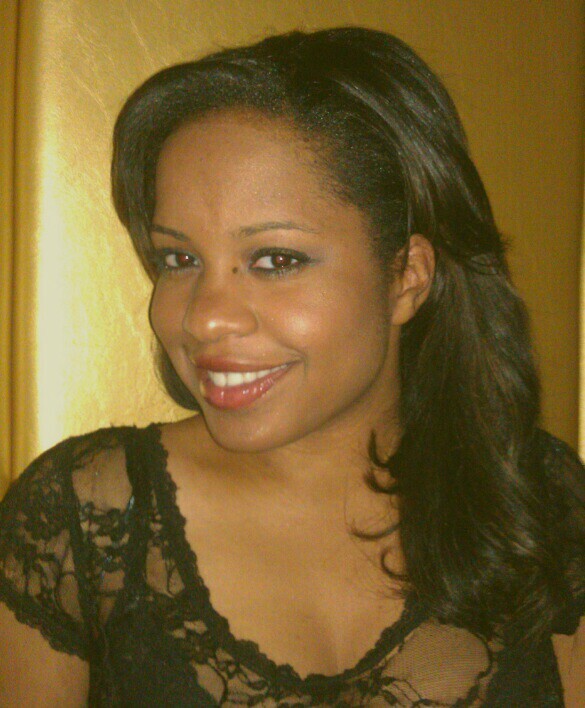 Come and join HBNN at the All Black Affair with DJ Damir spinning classic Hip-Hop, R&B, Reggae, & Neo Soul. As usual proper dress and attitude a must. $15 before 11:30 (so come early). Party & Table reservations are available! Ten years ago Gretchen Camille Lafond started to sew in an attempt to get “the look for less.” Something clicked, and her mom’s impeccable lessons on pattern-making were put to use when she joined madeMOIselle Boston as one half of the designing duo. Since 2004, as part of madeMOIselle Boston, she has shown at local universities, Fall ‘n Love Fashion Shows, the Go Red for Heart Disease Campaign Red Dress event in 2007, Fashion Evolution during BFW 2009, Providence Fashion Week 2010, and many more runways. Somewhere between yards of silk dupony and sticking pins in Bella (her favorite mannequin) she wrote a poem. And another one. And soon performance met poetry, first at Poetic Escape, and any open forum that would allow her. Not limiting the medium by which her art is expressed, in a rare opportunity, fashion meets poetry. Her poems on life, love, sadness, and laughter ruffle the hemlines of her ultra-feminine designs marked by her unique use of lines and color. DJ Damir will be in the building spinning the best in R&B, Neo-Soul, Old-School, and Hip-Hop. FMI, or to feature contact us at: poeticescape3@gmail.com, or 617-549-2700. You can also find this event on Facebook. Also, be sure to check out Boston Fashion Week's event listing for other great BFW11 events! SAVE DATE: 9/28/11 Poetic Escape - Fashion Week Edition! It's Fashion Week, so DRESS TO IMPRESS! HBNN is a socially responsible entertainment collaborative headquartered in Boston, MA that has been providing services and resources to community agencies, event planners, artists and young professionals since 1999.